Edgar Cayce anticipated many advances in medical Science. 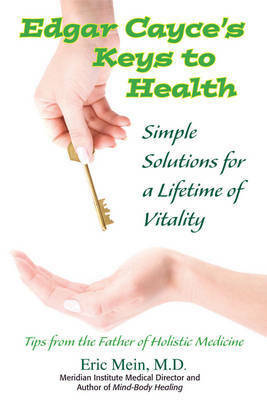 EDGAR CAYCE'S KEYS TO GOOD HEALTH outlines that very important information. Eric Mein has compiled the most practical and effective methods for maintaining good physical, mental and spiritual health including answers to the questions why we get sick and what we can do to prevent it, the causes and treatments of fourteen different diseases and teaching us to work with our mental patterns to achieve total well-being. This book will help you to achieve a long life of physical and spiritual health!